Roulette is one of the most popular casino games in the world and has been for a long time now. This is partly down to the fact that roulette combines suspense, excitement, joy and frustration all at the same time. Furthermore, it is a tough game to beat –many have tried and failed to do so and that is what makes people come back for more. There are numerous different strategies that have been used in order to attempt to beat the casino at Roulette. However, none are as simple and effective as the James Bond roulette strategy. James Bond is perhaps one of the most successful gamblers to come out of the world of fiction. Add to that his super suave persona and license to kill and you have a character that men want to be and women want to be with. If you are familiar with the James Bond franchise, then you will know that few gamblers have superior finesse and charisma at the casino tables than Mr Bond. And it was Bond’s force of presence at the table and his actual use of the following method that brought about the James Bond roulette strategy. What you need to know about this strategy is that you can’t just gamble any sum you want. Firstly, you need at least £200 to gamble with. To put it simply, you need to bet £140 on high numbers (19-36) and follow this up with £50 on six numbers (13-18) and then a final £10 on 0 as insurance. Can I only use this strategy when playing at a live casino? Although Mr Bond was always a live casino player, if you are an online casino regular then you can still make use of this strategy. The James Bond roulette strategy is perfect to use when you are playing at any online roulette casinos. Moreover, playing online means you don’t have the pressure of a Roulette dealer waiting for you to make your move, so you can learn this strategy at your own pace. Essentially, there are three bets that you must make if you want to play this strategy successfully. Using this method, should you spin a number from 19 to 36 (with a bet of £140) then you will make a profit of at least £80. Should one of the numbers from 13 to 18 come up, you will make a profit of £100. 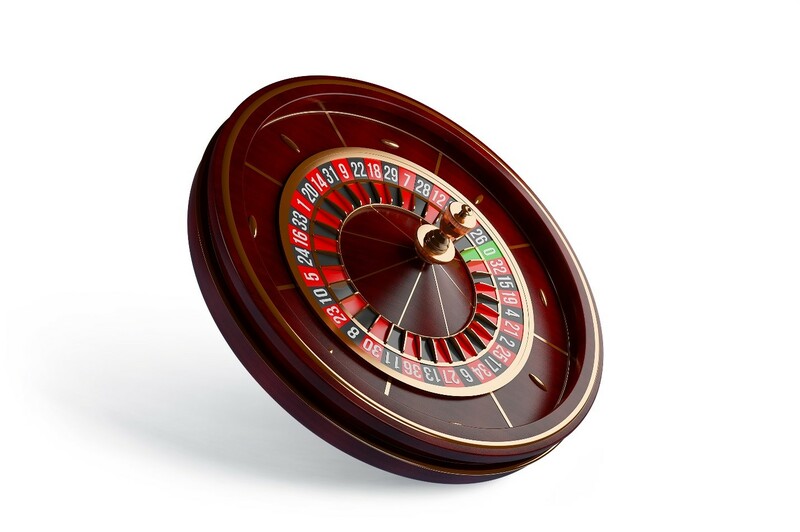 If you hit the unlikely chance of a 0 and see the green colour on the roulette wheel, then you will make a £160 profit. Using this strategy, you should be able to make small but regular profits. Chances are that one of your three bets will come through, so you will be able to rake in the money. However, do not fret if the Roulette ball lands on a different number. What happens if the Roulette ball lands on a number between 1 and 12? If this unfortunate scenario happens then the best situation is to double your bet by using the Martingale strategy. For this strategy to work, the player must bet double the chips they have lost every time they lose. So if you bet 5 chips and lose, you need to bet 10 in the next round – simple. Using the Martingale strategy offers an opportunity to quickly re-gain your losses – but remember, this is not guaranteed. If you find yourself losing too much money, then you should always step away from the table. Do not try to recover your losses by betting amounts that you cannot afford to lose. Walk away from the table and try again another day with a fresh body and mind – there will always be a roulette table open for you to play on. Has the James Bond strategy been proven to work? 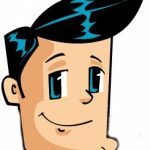 The reality is that when it comes to any strategy for casino games, over a prolonged period of time, it is very difficult to come out ahead of the casino. More often than not, the casino wins. When playing Roulette, the odds are always in the favour of the casino. However, if you are clever then you can still come out on top of the casino. The best way to play the James Bond strategy is by taking a leaf out of the book of Bond himself. Use your brain, play intelligently and get out once you are ahead – don’t go chasing more and more money. Remember, you are likely to lose slightly over 50% of the time. Using this strategy, it is recommended that once you have made your profit for the day, you should immediately leave the table. James Bond knew when to leave a dangerous situation and so should you. Also, the more you win by taking the win and run strategy the more money you will have in your bankroll when you run into an inevitable losing streak. Would James Bond use this strategy? More than likely, if Bond gave up his 007 status and job to become a professional roulette player, he would make sure that he took some gadgets from Q branch in order to help him turn the odds in his favour. With this being said, if technology is your thing then you should read up about roulette computers. Although this is most likely classed as cheating, this is almost certainly what Bond would do if he was taking in the atmosphere at a casino owned by an international terrorist. Although, let’s face it, Bond always wins when it comes to playing card games, no matter what the odds. There is no shortage of casino scenes to choose from in the James Bond franchise. Whether, like in ‘On Her Majesty’s Secret Service’ he is playing Roulette in Portugal, or fighting bad guys in the setting of a Macau casino, Bond’s visits to casinos are rarely dull. The beauty and popularity of the James Bond roulette strategy lies in its simplicity. The player only needs to remember three bets. Bet #1 requires the player to bet at least £140 on numbers between 19-36. Bet #2 requires the player to bet at least £50 on numbers between 13-18. Bet #3 requires that the player bets at least £10 on 0 as an insurance bet. No roulette strategy is fool-proof, however, using a strategy will almost always increase your chances of winning. The James Bond strategy is, of course, just one of many roulette strategies. If you have not tried this strategy before, then you should give it a go. Many roulette players rate the James Bond strategy as the best. Experience it for yourself and best of luck at the wheel! Whenever you are watching a film set in a casino, the roulette table is the first thing that you will usually see. It conjures a sense of mystery, glamour, and excitement, and seeing rich people impassibly placing high-stakes bets without batting an eyelid might lead some people to believe that playing roulette is a walk in the park. In reality, there is a lot of strategy and thought behind this game. Here are a few basic roulette principles that every gambler should know. If you are playing in a land casino, you will also have a croupier. If you choose to play on the Internet, a croupier is not necessary because this role is accomplished by AI. Another important difference between the digital and physical mediums is that online you can occasionally win free spins and various other extras that will help you out, similar to the king casino bonus uk. Other than that, online and land roulette are virtually the same. In roulette, there are two types of bets: inside bets and outside bets. An inside bet is basically a bet placed on the numbered part of the grid and includes any sum you might choose to position on an intersection or a line. An outside bet describes bet placed on any unnumbered part of the grid, including betting on odd/even or red/black. Inside bets, or bets placed on specific numbers, generally have higher paying odds. Outside bets, on the other hand, are safer and highly recommended to beginners because the stakes are lower. While there are tons of highly complex strategies, such as the Fibonacci & Whittaker Roulette System, beginners should stick strictly to simple tactics that involve small bets with high odds and proper bankroll management. The 50/50 approach is the safest way to learn the game. Ideally, new players should try to invest small sums of money in outside bets. By doing this, you will not lose a lot of money, and once you have the bank to go back to your normal strategy, you will do so without chasing losses. However, this does not mean you will win a lot of money right from the get-go – a small, smartly placed bet is still a win. If you went into roulette hoping to get rich, then you are playing it for the wrong reasons. Once you get the hang of the game, you can start thinking about placing outside and inside bets. If you are looking to play casually, it is a good idea to stick to outside bets, because, in time, you might get enough bank to play inside bets. Once you reach that point, you can start taking riskier bets without the losses stinging too hard. The most important thing is to exercise patience and restraint because they pay better on the long term. Roulette is the type of game that most people think is easy, but it is actually deceptively hard. Like poker, blackjack and every other casino game, playing roulette effectively requires a great degree of patience, restraint, and situational awareness. While there are many other strategies and approaches that players can take, the principles highlighted throughout this article are enough to get you started. Have fun!